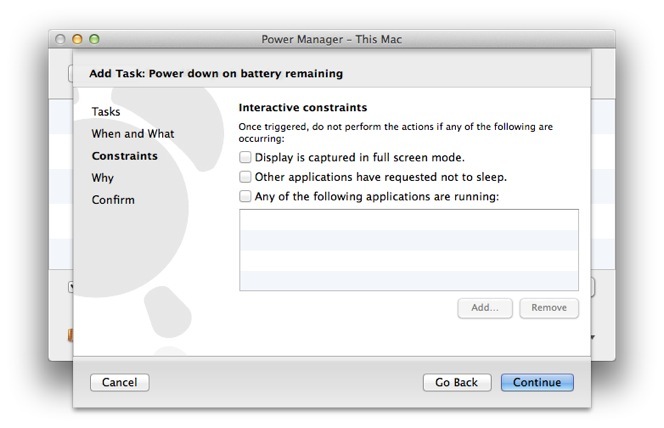 Power Manager is able to safely shut down your Mac before the built-in battery runs out of power. 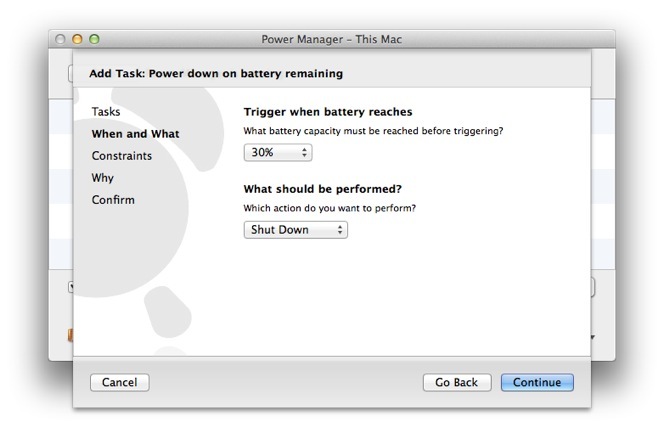 Power Manager can also do the same for Uninterruptible Power Supply connected Macs. An earlier recipe walked through the steps needed to shut down when the power supply fell. 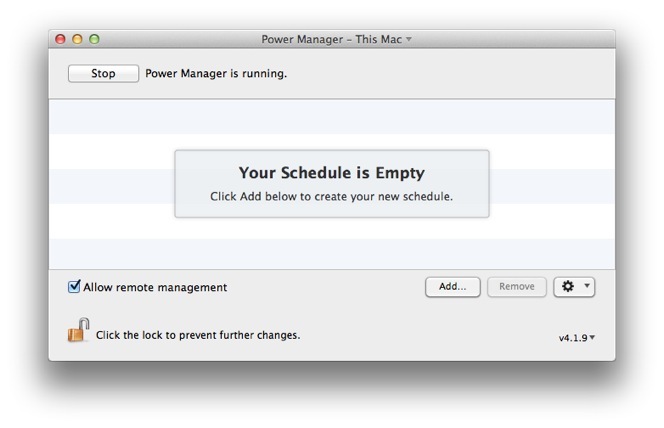 This recipe improves on that approach; the latest version of Power Manager includes a new dedicated Schedule Assistant task for this situation. 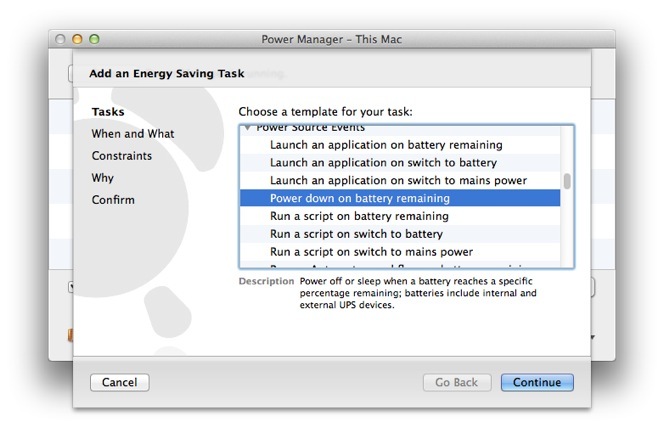 Other new tasks can make your Mac run a script, launch an application, or run an Automator workflow when the battery drops below a specified level. You can even combine events to have different actions perform at different levels of power remaining. 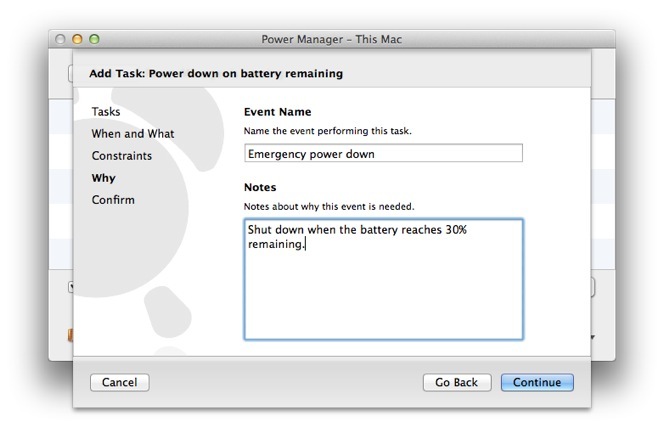 In this recipe we will create an event to safely shut down your Mac when the power reaches 30% remaining. 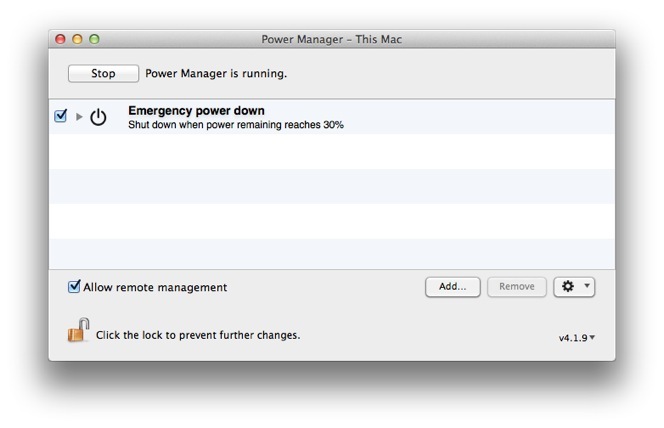 At this point any running applications will be quit, users logged out, and the Mac fully powered down. Select Shut Down for What should be performed? Continue and Add the event. 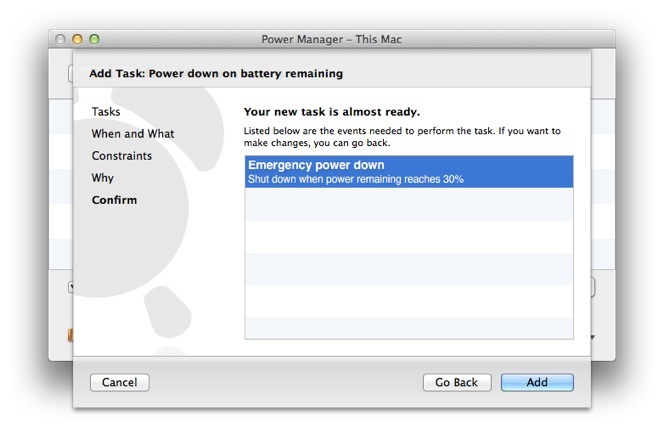 Your emergency shut down event is ready and will take affect whenever your battery power reaches or drops below 30% remaining. This article was posted in PM4, Power Manager, and Recipe and tagged battery, shut down, Uninterruptible Power Supply, and UPS.